Established in 1607, Jamestown, which was frequently spelled James Towne or Jamestowne, was the first permanent English settlement in what would eventually be the United States. It served as the capital of the Colony of Virginia for eighty-three years. It seemed like a doomed location from the very beginning, but that stopped no one. In 1570, Jesuits from Spain set up a mission on the York River, and within six months, they were killed by local Indians. Several attempts by English explorers and settlers to settle along the coast of what is now known as North Carolina, which was then Virginia between 1585 and 1587 failed. Then, in 1590, the governor of a fledgling colony on Roanoke Island, John White, returned from a trip to England for supplies and found no trace at all of the settlers. The only clue he found was a word carved into a tree: CROATOAN. But in 1607, Captain Christopher Newport led a group of three ships which left England with 104 people in order to colonize a site on the James River. They were sponsored by the Virginia Company of London, which wanted to make a profit from the resources which were available in the New World. The new colony was called James Fort, in honor of Britain's King James I, and it became the official seat of government. In 1608, Captain Newport got back from a trip to England where he picked up supplies and still more settlers, and setting the pace for the immigration of new colonists. Meanwhile, John Rolfe, a businessman who was always looking for an opportunity to make money watched with interest the Spanish monopoly of the tobacco trade. No one can be sure how, but Rolfe had gotten a handful of seeds from a popular strain of tobacco grown in Trinidad. Perhaps the reason that no one knows how is the fact that during that time, selling tobacco seeds to non-Spaniards was a crime which carried the death penalty. He planned to join settlers in Jamestown where the climate would sustain tobacco crops. In 1609, Rolfe and his wife and infant child had set out for Jamestown, but the ship they were on began to take on water during a storm, and the captain drove it onto the reefs of Bermuda in order to keep it from foundering. All 150 passengers, the crew, and the 1 dog aboard survived, with most of them staying in Bermuda for nearly a year while two smaller ships were built to allow them to complete the journey to Jamestown. Many died during their time there, including Rolfe's child and wife. In May of 1610, the newly-built ships set sail from Bermuda with John Rolfe and the remaining 141 castaways aboard. They arrived to find the colony at Jamestown decimated by disease and hunger, and only 61 of the colonists were still alive. The surviving settlers, nearly starved to death, had buried their cannons and other important things and boarded the two ships, the Deliverance and Patience, abandoning Jamestown when they met two ships laden with supplies, food, 150 new settlers, and Governor Baron De La Warre, who would later have the colony of Delaware named after him. It was June 10, 1610, the day that the settlers would call "The Day of Providence." Settling into Jamestown, Rolfe mixed the native tobacco with the sweeter strains from Trinidad he had brought with him. The cultivation was a raging success, and in 1612, he sent the first sample of his "golden weed" back to Europe, and it turned out to be the crop which sustained the economic survival of Jamestown and made him wealthy. In 1613, Pocahontas, the daughter of Chief Powhatan, who led more than 30 Indian tribes in coastal Virginia, was kidnapped by the British and held for ransom. While she was captive, she converted to Christianity and was baptized in the Anglican denomination; at that time, she changed her name to Rebecca. When she was able to return to her people, she chose instead to remain with the English, and in 1614, she married John Rolfe, the first interracial marriage in the history of America. But more importantly, the marriage produced a son, Thomas, whose birth was the occasion for the beginning of eight years of peace between the Powhatans and the English settlers. Pocahontas and John Rolfe sailed to London a few years later in order to try to stimulate investment in the Jamestown Settlement. On the journey home, however, she fell ill, and her uninitiated immune system could not fight off her illness. She died in 1617 at approximately age 22 of officially unknown causes, but the most credible theories are that it was smallpox, tuberculosis, or pneumonia. Her father, Chief Powhatan, died the next year and was replaced by his brother, Opchanacanough, a noted warrior as head of the Powhatan Confederacy. The House of Burgesses, the first representative legislative assembly in British America, met at a church in Jamestown on July 30, 1619. That body was tasked by the Virginia Company "to establish one equal and uniform government all over Virginia". In the first election of the House of Burgesses, the Governor decreed that only English men were allowed to vote. This decree sparked the first strike ever recorded in America when craftsmen from Poland, Germany, and Armenia who had been brought from Europe to make pitch, tar, and glassware, refused to work if they were not given the right to vote. In July of that year, the leaders of the colony granted them voting rights. In March of 1622, the Powhatan Confederacy decided to be rid of the colony entirely. 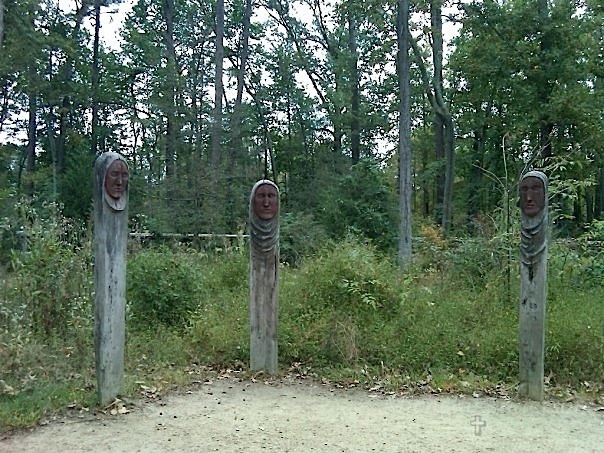 On the morning of March 22, they attacked the outlying plantations as well as the communities along the James River, killing more than 300 settlers and burning houses and crops during what would later be called the Indian Massacre of 1622. Jamestown itself was safe because of a warning which came in time to save them but too late to get the word out to the outlying communities. Given the loss of life and profit during the massacre and a separate incident of mismanagement of the Virginia Company in England, King James revoked the charter of the Virginia Company two years later, and Virginia became a royal colony. The colony continued to grow, and after another massacre in 1644, Opchancanough was captured and killed, and the Powhatan Confederacy began to shrink. Eventually, a peace treaty was signed by the new Powhatan leader, requiring an annual tribute to the British and confining them to reservations. Jamestown remained the capital of Virginia until 1698 when the central statehouse burned and the capital was moved to Middle Plantation, home of the new College of William and Mary. Middle Plantation was renamed Williamsburg in honor of King William III shortly thereafter. Today, the National Park Service owns most of the area and allows visitors to tour what is now called Colonial National Historical Park. 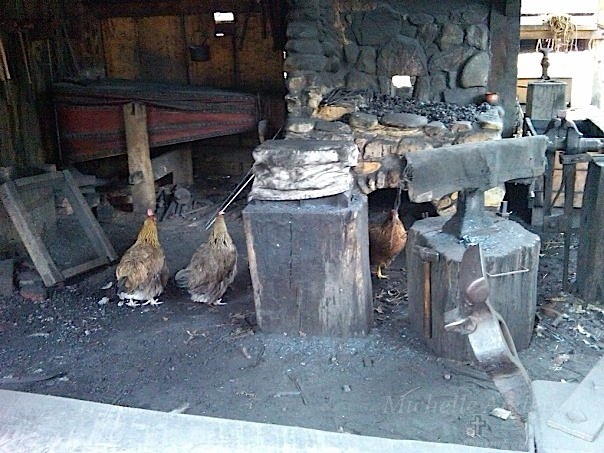 Jamestown Settlement is a living-history park located a little more than a mile away from the original settlement. Sets forth a brief historical profile of Jamestown, its economics and politics, the physical site, and what it is like today. 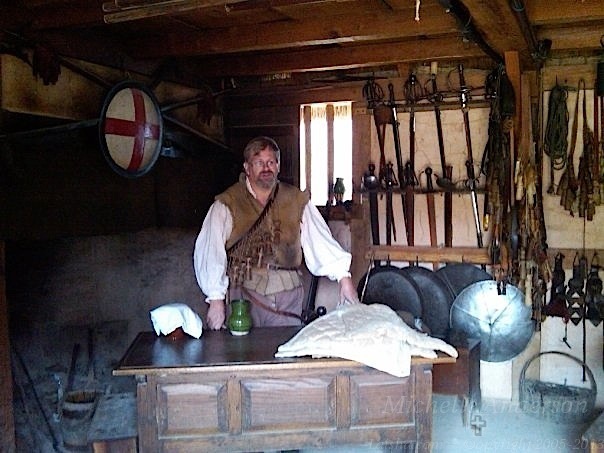 Presented by a private non-profit, Preservation Virginia, which is dedicated to preserving the history of historic places within the state, including historic Jamestown Settlement, this website delves into the archaeological project which rediscovered the settlement, lists upcoming events, and outlines featured tours. Discusses the history of the settlement and colony and explains how to get tickets for the living museum. Also sells merchandise related to the museum. Answers questions about why the settlement was established where it was. Also displays photographs of the modern seawall, the pitch and tar swamp, and factors which played into the location. 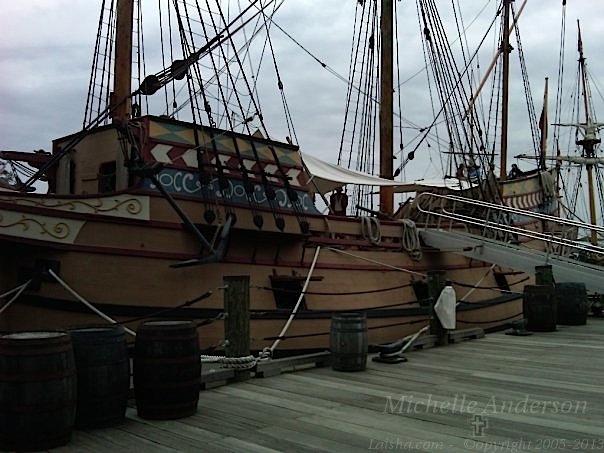 Sponsored by the Williamsburg Bed & Breakfast Network, this web site encapsulates the settlement and colonization of Jamestown, lists nearby attractions, and gives an overview of the historic triangle, which includes Yorktown and James River. Search for Jamestown Settled on Google, Bing, or Yahoo!